If you have never used scheduling software, please download and test one of the new house construction schedule file samples provided in the yellow section of this page BEFORE making a purchase. PLEASE test the sample file first if you are unfamiliar with .MPP files! 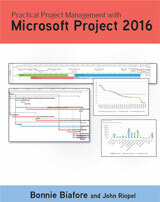 Microsoft Project: The new custom home building scheduling template offered on this page has been tested to work with versions of Microsoft Project through Project 2016. Please download and test the Project 2007 sample file (linked to the left) before making a purchase. Some third party programs will also open MPP files – see Open Source options below. This template is known to work with some free Open Source software, such as the following – but please check using current versions to be sure. In response to requests from professional home builders interested in purchasing a copy of the Microsoft Project® file used to create the sample custom home Construction Schedule, we are offering a free, limited field, sample version for testing and review. Click the image on the left to view screen shots of the sample file in use and follow the directions further down this page to download free sample files or to purchase the complete template. 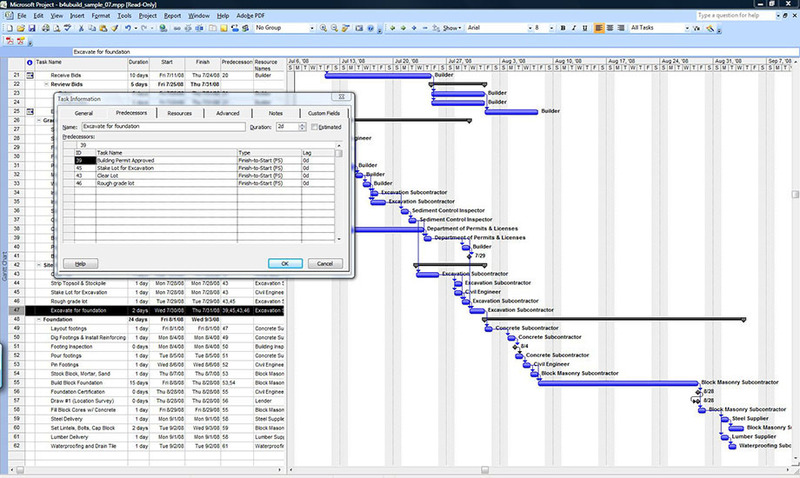 This construction management schedule was originally created with Microsoft Project® Version 4.1a for Windows 95. It has been updated to work with all subsequent versions of Microsoft Project, up to and including Microsoft Office Project 2016. It is not a stand-alone application. 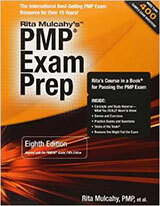 It can only be opened using a project management or scheduling program that is able to read MPX or MPP files. You may use the links on the right to check current prices for popular scheduling software or check the Microsoft Office Project Web page to see if they are still offering a free, limited trial period, demo version of Microsoft Project Professional. The sample schedules provided below are complete through 6 top level tasks, ending with foundation waterproofing and drain tile installation. 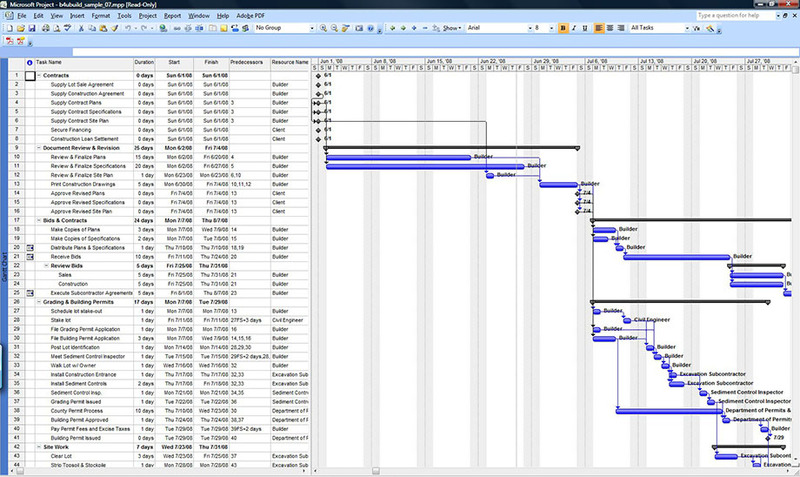 The full working template being offered for sale contains 36 top level tasks incorporating 196 individual line items, each of which is assigned a duration in days, predecessors, starting date, finish date, and resource names. It is the result of many years of actual use by a professional homebuilder who used it to manage large, luxury custom home building projects in Maryland. 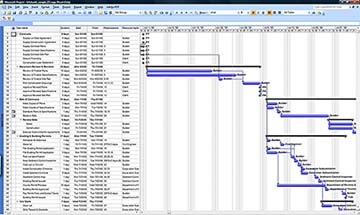 Among other tasks, the template will allow you to use common scheduling software to produce Gantt charts, task lists, critical path time-lines, monthly calendars, and construction progress reports. 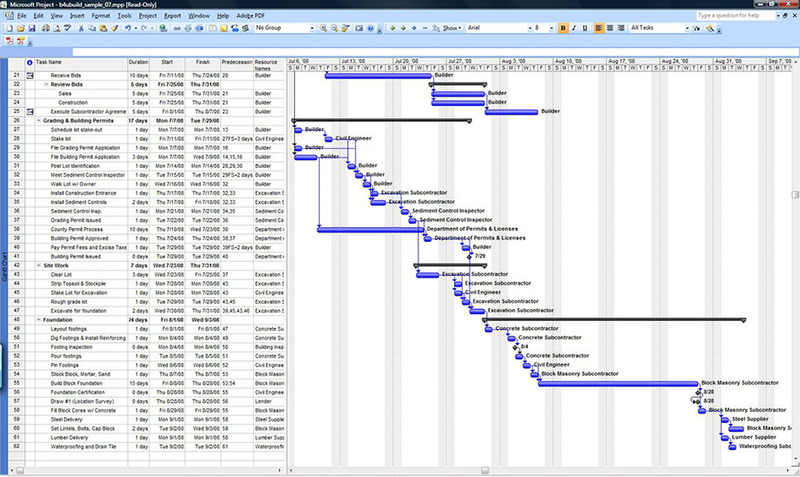 The sample construction scheduling file is being made available to you in MPP formats, which will open with Project 2000-2003 and/or Project 2007-2016. If you purchase the template you will be sent two (2) MPP files so that you can match file formats with the scheduling software you are using. Each file contains the same basic information as available in the respective file format. Choose the file format that matches the specific version of the scheduling software you are using. These files all contain the same basic information and they can only be opened using Microsoft Project or a compatible scheduling program that is able to read .MPP or .MPT files, such as the open source programs listed in the right hand column of this page. Now for the legal stuff - which might be a good candidate for one of our Pet Peeves! In other words, we are allowing you to download this file, at your own risk, and try it for free so that you may determine if it works in the scheduling software you are using and suites your project management needs. By so doing, you are agreeing to the stated terms and conditions and accepting full responsibility for your own actions. If the template suites your needs, you may purchase the complete version for $20.00 (USD). When you complete the online payment process you will receive an email containing a link for immediate download. The files being offered are NOT stand-alone products. They will work with Microsoft Project versions 4.x through Project 2013 and they might work with specific versions of other scheduling software. However, they are intended primarily for use by professional contractors and project managers who already own a copy of Microsoft Project. The files CANNOT be opened with Microsoft Excel® or Microsoft Word® or Microsoft Power Point® or WordPerfect® or OpenOffice.org or any other software that is not specifically intended for managing project schedules. These files can only be opened with Microsoft Project, or another scheduling program that is able to read MPP, MPT, and/or MPX file formats. 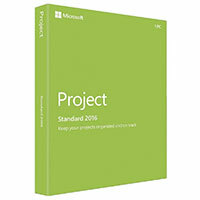 If you were unable to open any of the sample files provided above, and/or you do not have Microsoft Project installed on your computer, and/or you are not familiar with the file formats being offered, please do not purchase these files. Please be sure to include your email address in your correspondence so that the file may be sent to you over the Internet. Should you have any questions or need more information, please contact us.